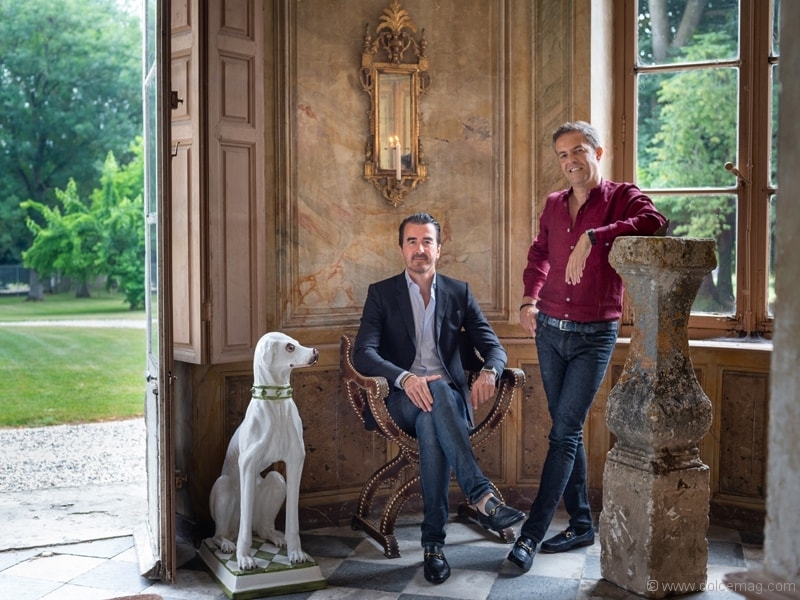 In 2004, John Coury and Florent Maillard forged a partnership working on projects across the world, which evolved into CM Studio Paris — an architecture, design and decoration studio. The studio’s concept weaves together the time period and the style of a building with its architecture and design, creating a space that is timeless. 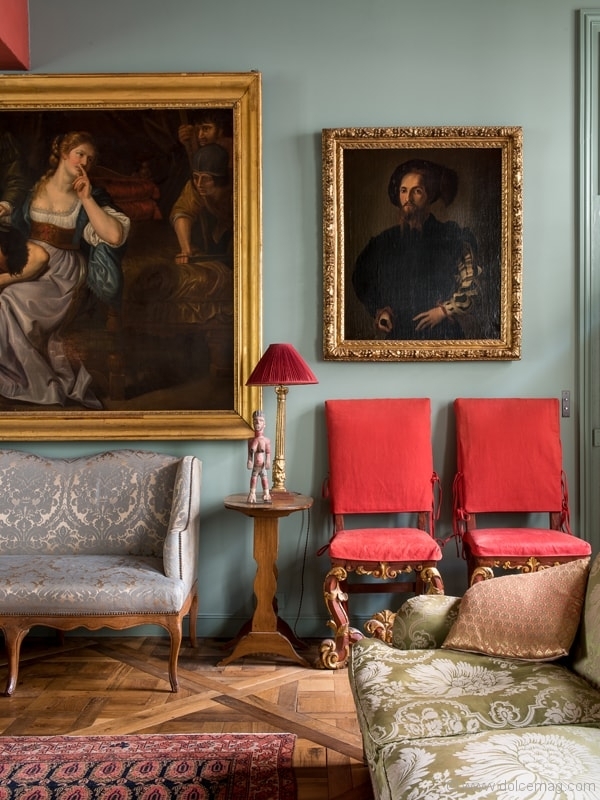 The Paris apartment on Île de la Cité is an ideal example of this, with its reconfiguration of space and addition of antique furniture and fabrics, resulting in a reimagination of the past in a current-day space. Q: What was the biggest challenge you faced while working on this project? A: The biggest challenge was that when acquired, this apartment had no entrance hall. We had to enter directly through the living room, giving us access to the dining room. We love entrance halls, as they give you a flavour of what you will discover and can reveal the overall atmosphere whilst reserving a surprise effect. They act as a teaser. We finally managed to convince the owners of the building to sell a second access to the apartment through a different staircase next to the kitchen, at the very back of the apartment. Surprisingly, the whole building and even part of the street still belonged to the same aristocratic French family. It took us a few months to convince them, but we managed to do so. What used to be the kitchen became an impressive entrance hall leading to the “grand salon” that was itself the result of the successful combination of the living room and the dining room. Q: What is the most exciting aspect of your work? A: The most exciting aspect of our work is to reinvent the past. For instance, in this 17th- century building, nothing from that period had survived. The apartment had an early 20th-century look. We totally redesigned the distribution of the rooms; changed all floors using only old materials; cleaned the beautiful 17th-century beams; and installed an old, monumental stone fireplace in the “grand salon” and a 17th-century marble wall fountain in the guest bathroom. All paintings hanging on the walls were bought specifically for this apartment to give the illusion that they had been there since the beginning of time. Consecration came when a guest visiting for the first time asked us if we were born in this apartment, and if our family had been living there since the 17th century. This was not at all ironical and for us; it was the best compliment ever. Q: Define luxury for us. A: Defining luxury is not so easy, because each human being perceives it differently. For us, luxury does not shine. It can be recognized by its exemplarity, character and esthetic dimension. Luxury is the capacity to create dreams, far from standards and norms. This applies to architecture and interior design, of course, but also to lifestyle in general. Q: What determines your taking on a project? A: The personality of the clients is key, [as is] their willingness to embrace change, to see big (even sometimes in small apartments) and, of course, to take some risks. Q: What elements do you enjoy working with when designing? A: We enjoy integrating antiques and decorative pieces sourced from all around the world inside atmospheric interiors, tailor-made for our clients. 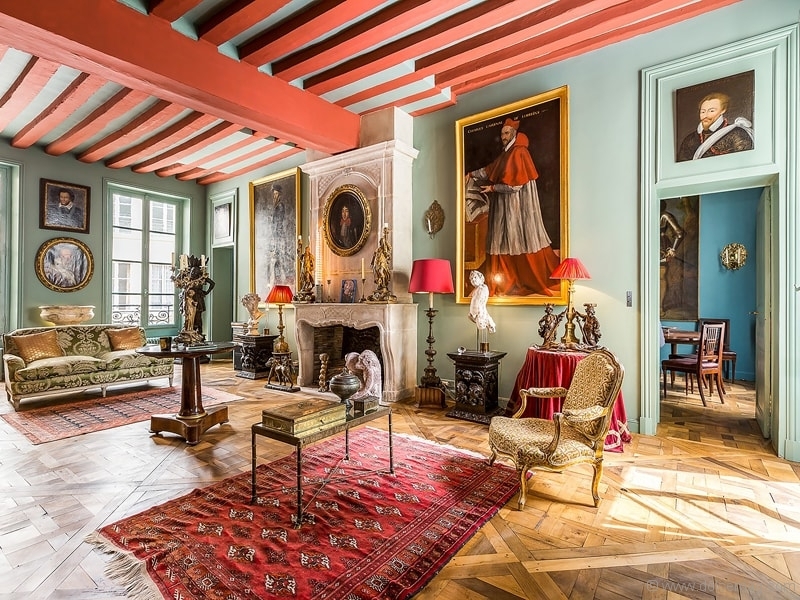 For instance, we just bought a beautiful leather 17th-century screen (paravent in French) that we had noticed was featured in the TV series Versailles. We wanted to integrate it into the newly designed dresser of the dining room for an ongoing project in Paris. For us, combining the old with the new is a great source of excitement. 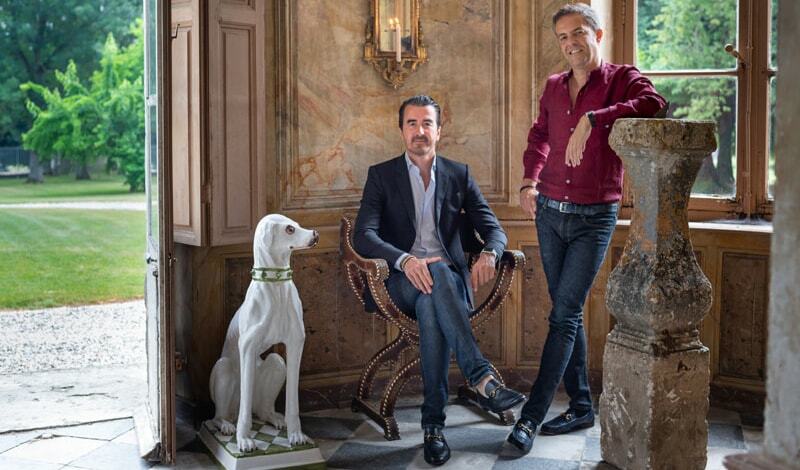 We also enjoy adding a touch of contemporary art through very exclusive selected objects in a very classical interior. Q: What influenced your career choices while growing up? A: Both of us always wanted to have a career that would enable us to spend lots of time travelling. We did this while working in the financial services world, but we are now even enjoying it more as interior designers and decorators. Q: Share a travel memory or experience that has later shaped the direction of a project. A: A trip to Rajasthan. While visiting this magnificent region located in northern India, we noticed lots of similarities between the Mughal architecture there and the Islamic art and architecture you can find in some regions of the Middle East. As we were restoring at that time a palace in the Middle East, we bought and shipped a whole container of old wooden ceilings and pieces of period Mughal furniture. They fit perfectly with our project, giving the illusion that they had always been there. Q: What do you enjoy doing when not working on a project? 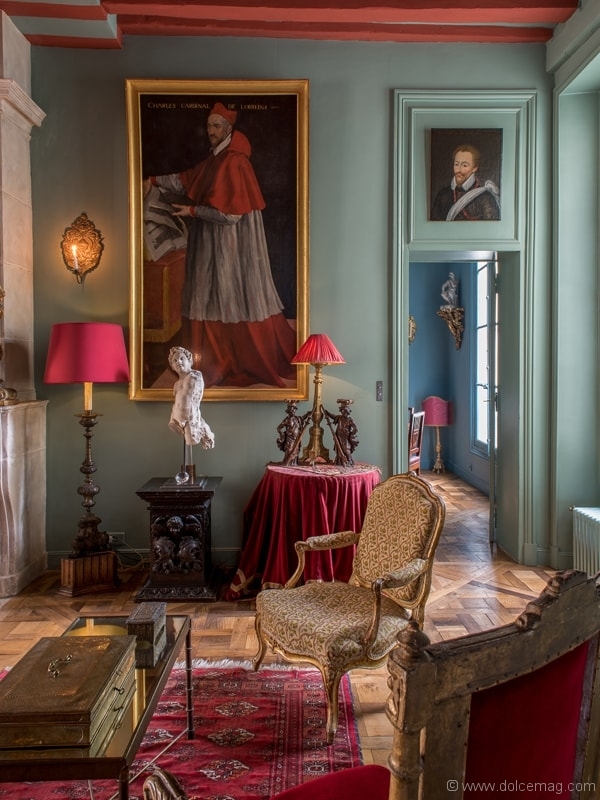 A: Travelling around the world to visit friends and discover new cultures, spending time with our family and friends in our property located two hours north of Paris, visiting antique dealers and contemporary art galleries and going to the opera. Q: If you could live in any era, which era would you choose and why? A: Our era, because even though we have a real passion for 17th- and 18th-century architecture, we make no concessions in our projects to absolute comfort. We believe that timeless interiors should still benefit from all the improvements brought by technology, so we are extremely grateful to be born in our era. Q: What is your favourite city and why? A: Paris, because it is the city where we met. It is a city that continues to inspire and surprise us all the time. And don’t forget that you are asking this question to CM Studio Paris.